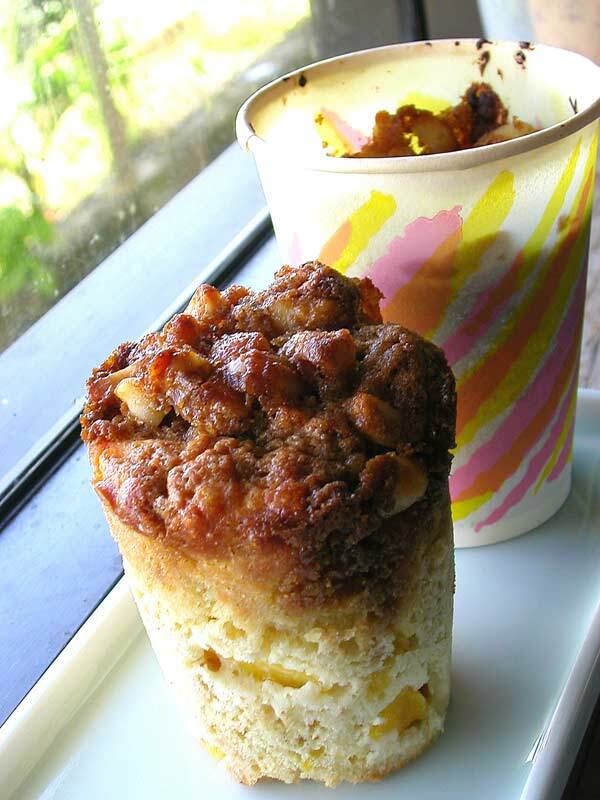 the scent of green bananas: recipe: mango macadamia crunch muffins. Posted by santos. This entry was posted on 20050926 at 1:55 PM You can skip to the end and leave a response. hurrah for santos, who makes such yummy breakfast treats. hurrah for saffron, who appreciates a sugar overload for breakfast, every now and again. That looks so good and torturous since I don't have one in front of me right now. Genius! Using coffee cups is a super idea. And I've never had a mango muffin before... You're making me hungry again! Those are beautiful. I remember someone using cups before (was it you?) - it's such a great idea. Such a pretty shape. They sound delicious too. I never thought of using a paper cup for baking before and in fact, I would think that it would burn. On second thought, cupcake tin liners are paper right? hi robyn--i really should send these to you so i don't eat them all. hi bramble--some mangoes tend to lose their flavour when cooking, and it tastes more like a peach. if mangoes can't be found, i would say use any stone fruit available. i think plums would be amazing. hi cathy! i haven't done this before, but i've wanted to for awhile. i've seen it in several magazines, and i remember a kids magazine (highlights? dyn-o-mite?) that also did this back in the seventies. I had this image stuck in my head for weeks and finally gave it a try... It failed miserably. I used peaches in place of mangos and skipped the cardamom, but otherwise followed the recipe exactly. My topping sank into my muffins and it became a big buttery goo with a slightly cooked dough on top. Using self rising flour also made them grow very much. The flavor was ok, kinda like upside down cake, but this recipe did NOT make muffins :(. I'll try again making my own intuitive adjustments. amy, oh no! honestly, i make these all the time (although, the last time was before the holidays), with consistent success. 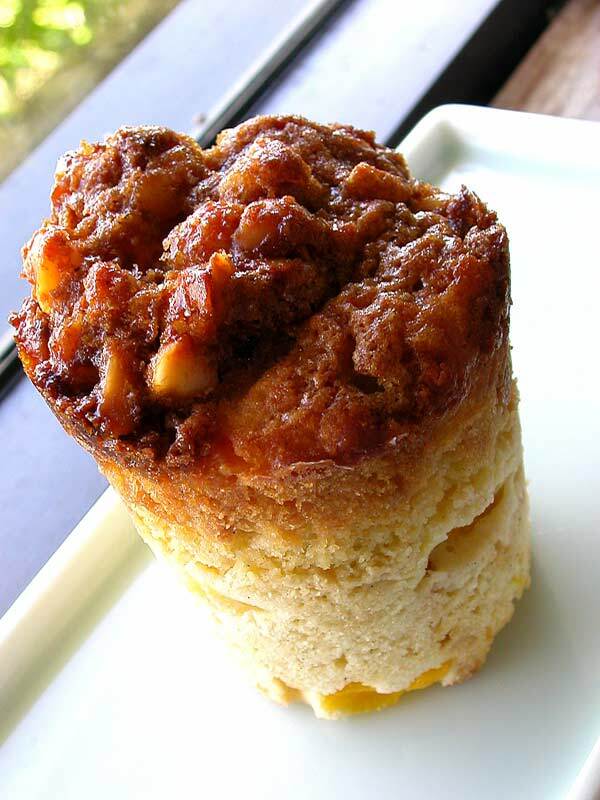 the recipe for the muffin base is from this jill dupleix recipe--the proportions are the same, it's just a difference of spicing and type of dairy. maybe try partially baking the muffins before adding the topping? i love those cups, btw. really cute. Where do you get the unwaxed cups? I think this is a great idea!